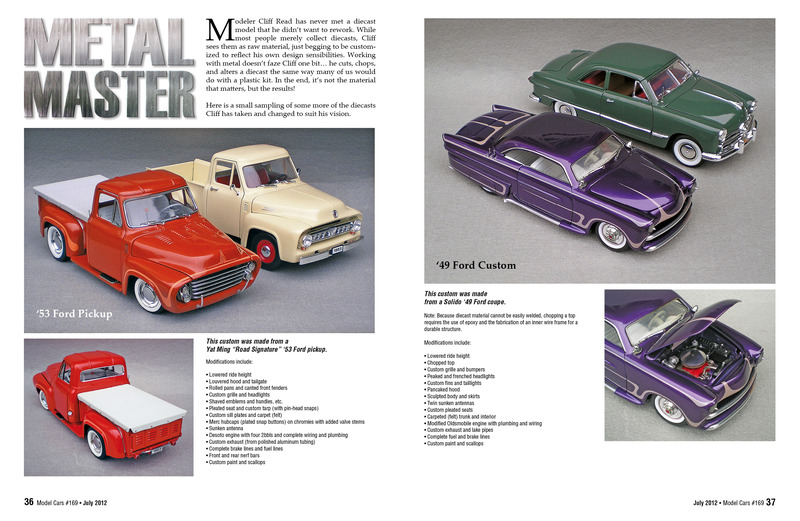 Modeler Cliff Read has never met a diecast model that he didn’t want to rework. 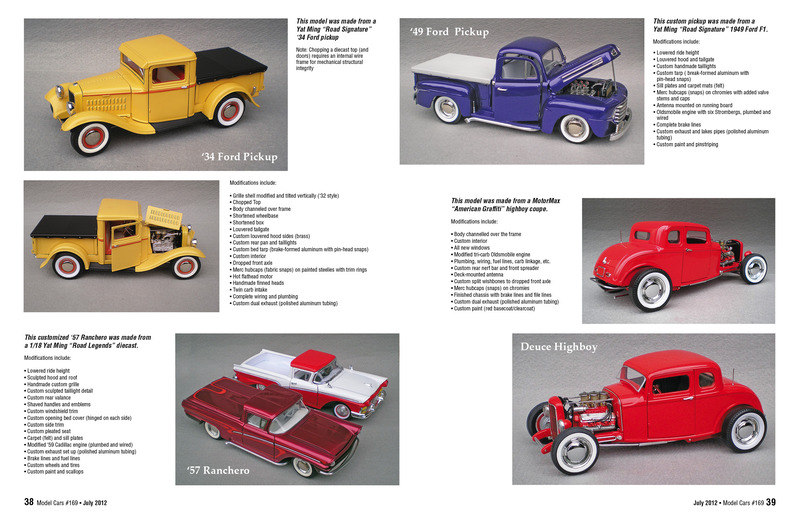 While most people merely collect diecasts, Cliff sees them as raw material, just begging to be customized to reflect his own design sensibilities. Working with metal doesn’t faze Cliff one bit… he cuts, chops, and alters a diecast the same way many of us would do with a plastic kit. In the end, it’s not the material that matters, but the results! Here is a small sampling of some more of the diecasts Cliff has taken and changed to suit his vision.